Listen Notes is a podcast search engine that actually works. After finding interesting podcast episodes, you may want to create and share clips of these episodes. 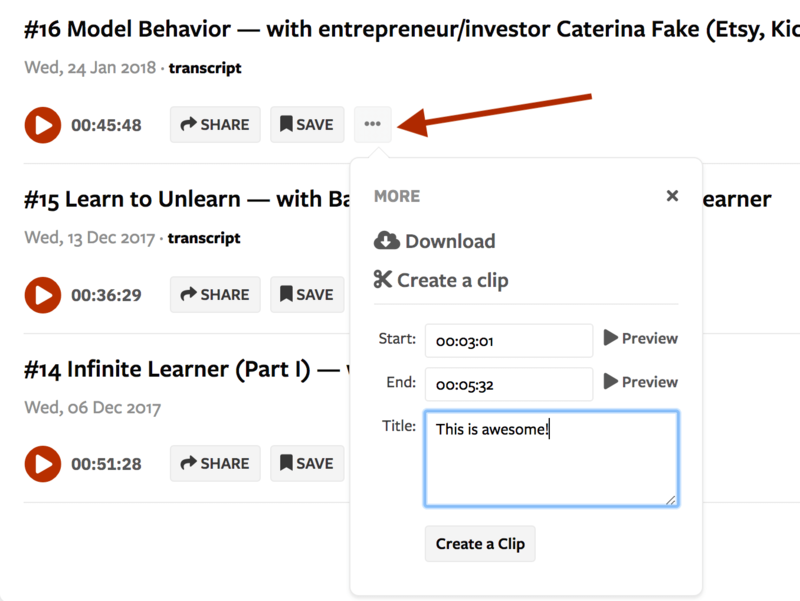 Listen Clips is a tool that you can "cut" a segment of any podcast episode, annotate, and share with your friends.